632 firms have exposed their news in an exhibition space of 50.000 M2, in an edition which have joined more than 70 new exhibitors, of those who 33 they are foreigners. They have covered more than 2.000 nights for domestic customers and received more of 300 international guests of 13 countries, including French, Dutch, Belgian, German, English, Poles, Portuguese, Czech, Moroccan and Lebanese. All enriched with more of 50 parallel activities, conferences, workshops, demonstrations, ... distributed contests between the Green Agora with the IV International Conference of landscaping and Arboriculture, the Garden Magazine Awards and the ceremony of awards in the program Vilés at Flor Comunitat Valenciana, Hall Tree, Round of Florists, Health and night space + Green". Iberflora It continues to be the meeting point for the Green Sector in Spain. Iberflora has managed to once again call for the leading garden centres around the country. 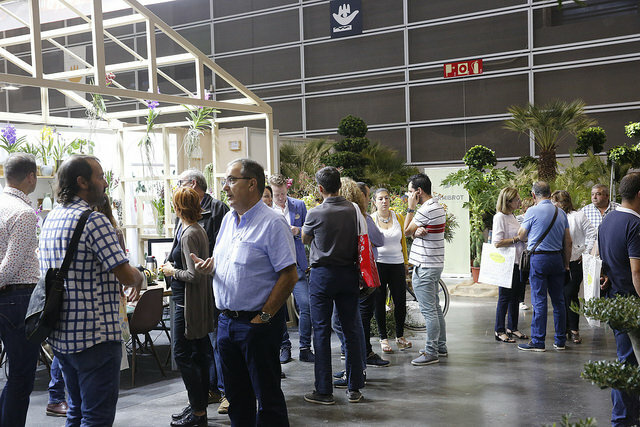 Through the Iberflora agreement with AEFI (Spanish Association of Florists), has managed to boost the sector gown in this edition, especially the Iberflora Cup of Floral Art (CIAF 18). Iberflora has managed to attract new sectors such as the sector health (phytotherapy, medical cannabis, etc.) and logistics. See us at Iberflora 2019!